For more than a decade, dynamic realtor Kevin McGovern has been achieving stellar results for Dallas buyers, sellers, investors and builders. Motivated by a passion for the business forged during his own early investments, Kevin views real estate not as a job, but as his true calling. Kevin knows that no two real estate deals are ever alike, so he approaches each with a custom mindset, placing his clients' specific goals at the forefront of every decision. 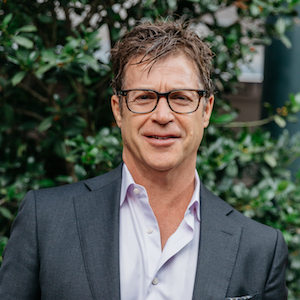 As a longtime Dallas resident, he provides in-depth market knowledge, and he's known for rallying the right professionals in the legal, lending, contracting and architecture fields, or whatever else his buyers and sellers require. He's a confident, supportive and detail-oriented advocate who earns high praise for his intuitive ability to educate clients on every facet of the transaction. It's no surprise he's a consistent multimillion-dollar producer with an enviable roster of repeat and referral business. Fitness is a big part of Kevin's life, so you'll often find him on the golf course, in the gym or taking long walks with his dog. He and his wife Yajaira are also avid travelers, especially to destinations offering warm beaches and sparkling blue oceans.